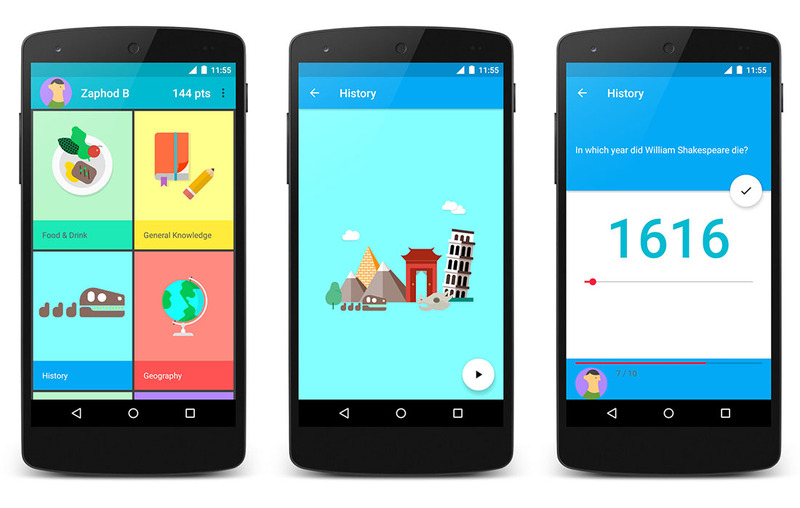 Material Design strikes me as being intimidating as hell. From understanding its varying concepts to actually building them out in app form through complex transitions and layers doesn’t seem like the simplest of tasks, even for the most advanced developer and designer. Then again, I’m not an advanced developer or a designer, so it could be that Material Design is a breeze to figure out and implement and it’s just way above my pay grade. Whatever the case may be, Google wants to help everyone understand Material Design concepts and ideas through an Android version of Topeka, which is like a reference design of many Material Design implementations in an app. Topeka was previously a web app that showcased Material Design, but this new Android version that is open-sourced on GitHub should get you all familiar with Google’s vision for MD. If you are a developer, you should head over to the source link below to see more on Topeka and how you can use it to better your apps. you will find recommendations for transitions, animations, and FAB placement, three things I’m not sure any of us can say we have seen presented consistently by anyone over the last year. Tuesday Poll: How Often Do You Upgrade Phones?